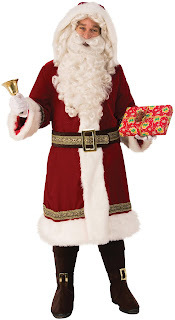 Call him Saint Nicolas, Kris Kringle or just Christmas Santa, ultimately he is the picture of our whole Christmas celebration. 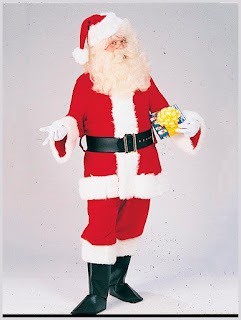 Santa Claus listen to kids wishes, categorize them as per their behavior and distribute gifts to children. 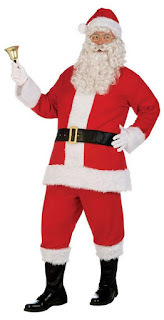 Many Christmas events include a person dressed up like Santa Claus to entertain everyone and to complete the Christmas celebration scene.As Christmas is for loving, sharing and caring for everyone so it always needs to a jolly white beard man to say Ho Ho Ho.So if you are looking for a Santa suit for yourself then we got some ideas for you in your budget. 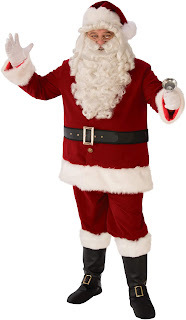 Enjoy your holiday season with your friends and shop amazing bright colored Christmas costumes for your kids.